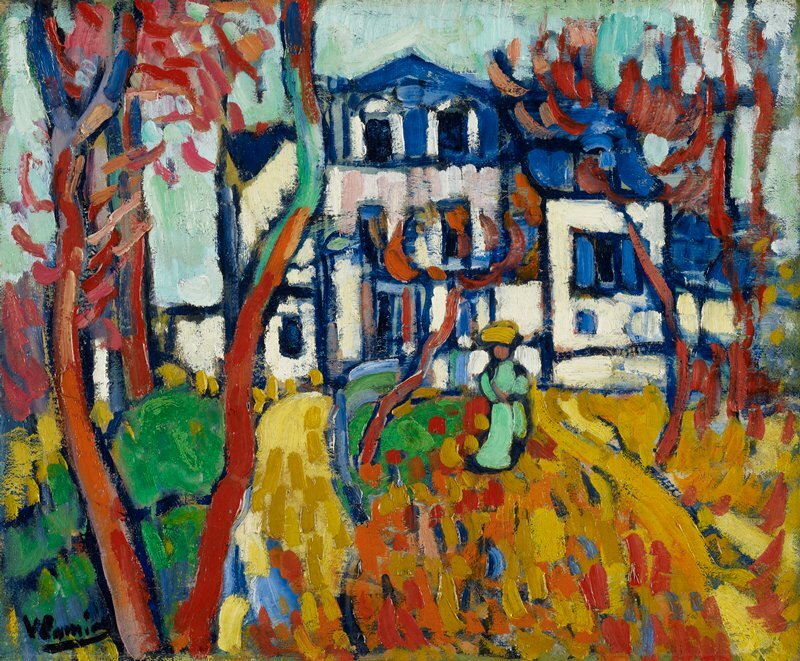 Of the three founders of the Fauve movement (the other two being Henri Matisse and André Derain), Vlaminck was certainly the most flamboyant. Rough and muscular, his career path (professional bicycle racer, gypsy violinist, and pulp novelist) had been as unorthodox as his approach to art. Taking van Gogh as his inspiration, Vlaminck squeezed brilliant colors out of tubes directly onto the canvas. This sensitivity to the physical qualities of paint and a love of the landscape are typical of the artist's paintings from this period.